Grove Street Drainage Study, Design & Permitting - Alan Gerwig & Associates, Inc.
Alan Gerwig & Associates (AGA) performed a flood control study to review improvement options for this 35 Ac. 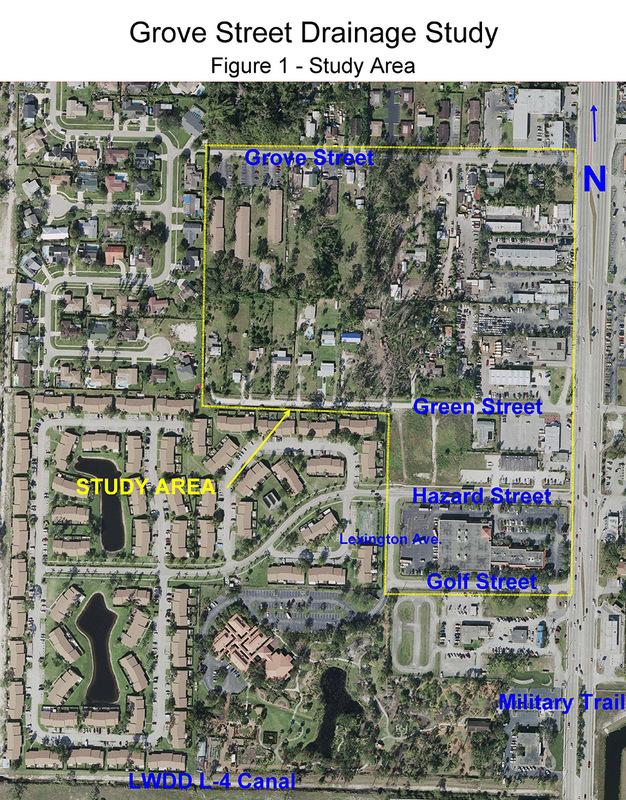 area of Unincorporated Palm Beach County known which contains a mix of existing residential and commercial properties. The study included a review of various drainage collection systems and outfall options, with calculations performed to determine initial pipe sizes and flood routing parameters. In addition, estimates of construction cost were made for each option. A final solution was recommended based on the information produced by the study. AGA went on to prepare construction drawings for the preferred alternate recommended in the drainage study.